If you’re a regular reader of our blog, you will have noticed we are strong believers in the kitchen being the most important room of the household. The modern kitchen is for more than just eating and cooking. The kitchen is the liveliest part of the house, where the family gathers in the mornings, where you might entertain your guests even. Today we’ll give you a few ideas on how to decorate this “heart of the home” as we like to call it. Changing up colors is one of the more inexpensive and faster methods of updating any room. For any color change plan, we recommend using a three-color palette combination where Color 1 is an existing unchangeable color such as that of your cabinetry. Paint your walls with Color 2, which is a neutral color that complements Color 1. Lastly, Color 3 should be a bold color that stands out yet still works with your other two colors. Generally speaking, you should use this last color for your less permanent kitchen accessories such as stools, chairs, cookware and tableware. One of the most universally acceptable colors is white, find out why in our blog post on the white kitchen trend. One of the latest trends in kitchen design is having no upper cabinets and instead utilizing that space for open shelving. Doing so may reduce available space to store your extra tableware, but it makes for a creative space where you can display color coordinated items to go with your fresh color scheme. As open shelving can be a bit high maintenance so an alternative is to use cabinets with glass doors instead. This will have less of a creative feel to it but it’s much easier to keep such an environment dust free. It’s a well-known fact that dark rooms feel much smaller while light rooms have the opposite effect. 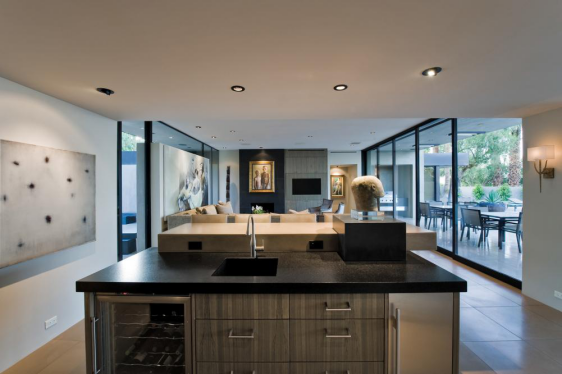 Good lighting is the key to making your kitchen look bigger, so take some time to replace any outdated light fixtures you have installed, and get onboard with the latest in lighting. Use LED strips lights, install energy efficient light bulbs, consider installing a mirror on one of your kitchen walls, and add a mirrored or metallic backsplash to improve light reflection in the kitchen. 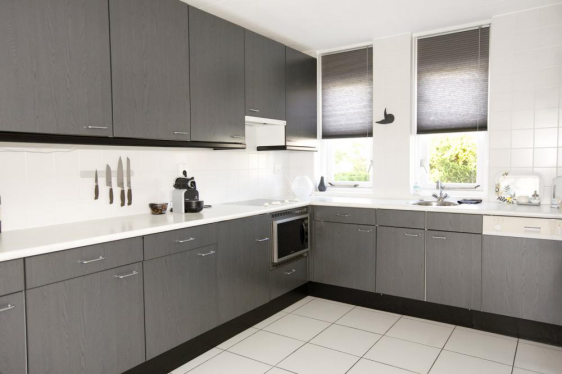 If you want to remodel your kitchen and give it a fresh look but just don’t have the time to look into the latest design trends, get in touch with us. We are a remodeling company that specializes in kitchen remodeling and we offer our services to people living in Shreveport, Red River Parish, DeSoto Parish, and Benton, LA.